So you think you haven’t seen enough social video apps for your iPhone or iPad? Well then, today is your lucky day. There’s a new app out today called Vivoom. While you can think of it as similar in concept to other apps like Instagram video and Twitter’s Vine, this one is a little different in that it gives you access to visual effects that have been used on lots of movies and TV shows over the last 15 years or so. The company behind it is GenArts, a big supplier of visual effects software to TV and motion picture studios, including Disney, HBO and ESPN. Shoot your video, and then you can add visual effects that you’ve seen in use on big and small screen. All the rendering is done in the cloud. New effects are being added all the time without any need to download an update to the app. 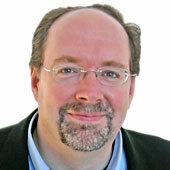 Today for example, a new one called “Beauty” makes it easy to remove blemishes and wrinkles from your subject’s skin. Another called “Skinny” helps them appear a little thinner. 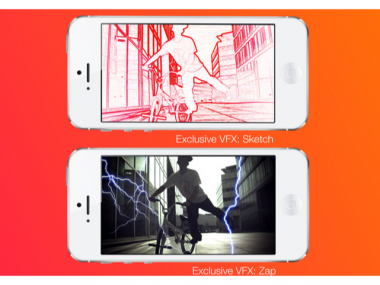 The “Sketch” and “Zap” effects are shown in the picture above. The app, available for iOS devices, was created with help from KerrisMedia, the app development and marketing firm created by Richard Kerris, a former CTO at Lucasfilm and the longtime head of developer relations at Nokia and Palm before that. The firm’s first client was the Rolling Stones. While the effects are a nice touch, to say that Vivoom is entering a crowded field is putting it charitably. As of August, Vine had about 40 million users. It added editing tools of its own in October. Instagram, which has about 150 million users, added video in June. With rivals like that, it will be tough to rise above the din.